Three Ethiopian journalists working for an independent Newspaper, Ethio-Mihdar, experienced a vehicle accident on Wednesday, October 30, in Hawassa, a town in the southern part of Ethiopia. The accident left Ephram Beyene, the Editor of the newspaper, with severe injury on his spinal cord, and two others with minor physical injuries. According to reports, the accident was caused by a motorcycle that hit the three legs vehicle (Bajaj), the journalists were travelling in. Getachew Worku, editor-in-chief, Million Degnew, general manager, and Ephram Beyene, were in Hawassa because of an accusation made by a local university in connection with a reporting on corruption case. “Though the correction was made in relation to that particular news, the University sued and we went to Hawassa in order to defend our newspaper and ourselves,” Getachew told to journalists. The University sued the newspaper, claiming 300,000 birr in damages. According to reports, when the accident happened, the journalists were going to a place called “Piassa” to meet their local correspondent. Many say that the accident might have been orchestrated by the university officials. Reports indicate that before the vehicles collided, both the drivers had jumped down, and no one still knows their where about. 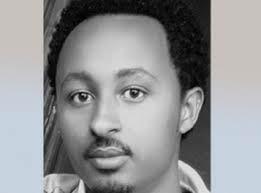 Ephram Beyene is now in intensive care in a Korean hospital in Addis Ababa. He underwent surgery on his spinal cord twice in the past days.